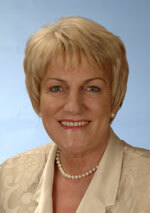 Elected to the Thirty-seventh Parliament for Agricultural Region on 26 February 2005 (for term commencing 22 May 2005). Resigned on 22 June 2007. Shadow Spokesperson for Heritage: 22 May 2005 - 4 February 2006. Shadow Spokesperson for Science: 4 February 2006 - 8 April 2006. Shadow Spokesperson for Heritage: 8 April 2006 - 22 June 2007. Member, Joint Standing Committee on Corruption and Crime Commission - 26 May 2005 - 22 June 2007.